Click the Menu icon, click Settings, and then click Company Info. 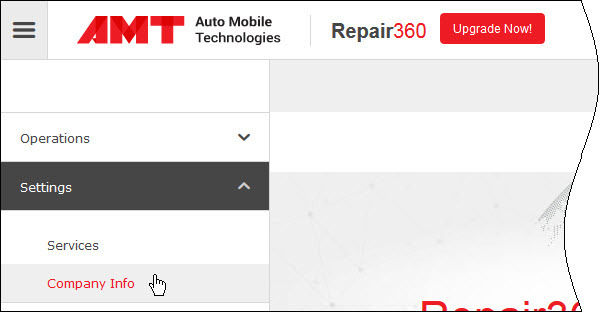 Note Company information is taken from the registration form that was filled in while registering Repair360 on device. 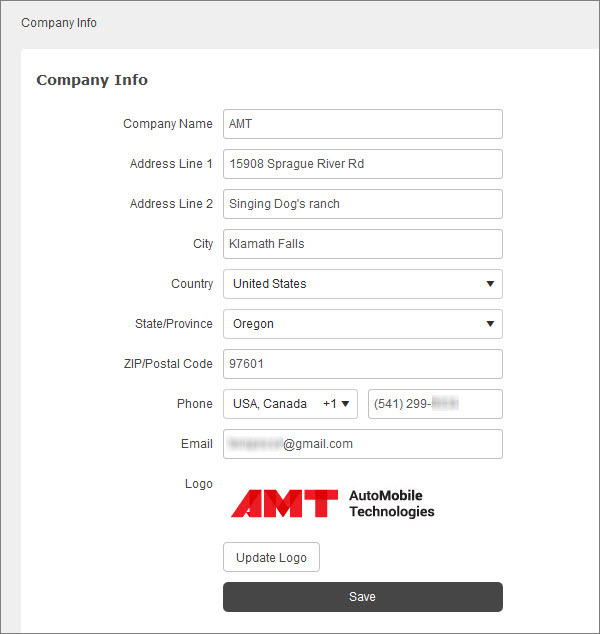 To add or edit company details, click the appropriate box, enter details, and then click Save.